Thanks for your kind notes. We had fun. More than fishing, I personally enjoyed your professionalism and kindness as a man. Our trip was the essence of fishing: Fishing, learning, enjoying God’s Bounty, and companionship. I will contact you for future trips. 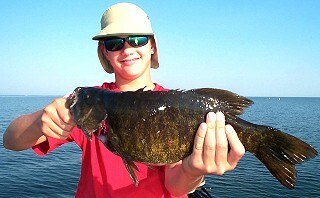 PS….I also enclosed a photo of Ben’s first fish of the season.